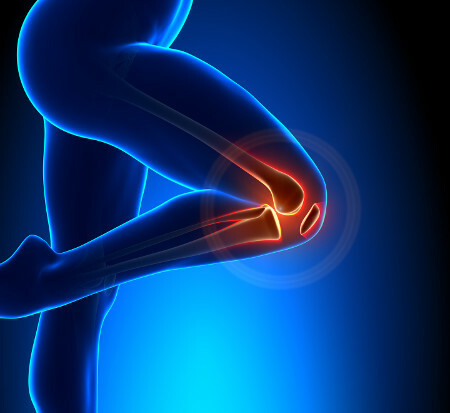 The knee joint is one of the major joints,receiving the brunt of our body and participating in a huge amount of importantmovements - walking, running, jumping,standing, sitting, etc. Unfortunately, since the load on the joint is large, this joint is easily damaged - overexertion, strains, bruises,viruses, bacteria, and various diseases (eg,rheumatism, gout) - all factors that can leadto the defeat of the knee joint and as a consequence to violations (restricted)movement in it. Lesions in the knee joint are often accompanied by pain. We want to talkabout how, from the perspective of traditional Chinese medicine to get rid of knee pain. The most common method by dealing with the pain in the knees, of course, is acupuncture. This method is based on the idea that through the entire human body are invisible energy pathways, which circulates energy Ki (or Qi). It is on these energy lines andacupuncture points are located, the impact of which (eg, using special needles) allows you to adjust the energyKi, thereby restoring energy balance. -first - get the fourth lumbar vertebra (at the upper edge of the pelvic bone) and withdraw from him in the side of the median line of the two fingers. Push down on this point and hold for 30 seconds, then a pause of 10seconds. And repeat. - The second point - is directly in the middle of the popliteal fossa (the back side of the knee). 1. "Knee to chest" - stand up straight, lift your right leg, bending the knee and pull the knee to the chest, clasphis hands and pull the knee as close as possible to the chest - Hold this position. Then lower the right leg and repeat the same exercise with the left leg. Exercise should be repeated 10-15 times with each leg. If you presshard knee to your chest, try to do this exercise in the supine position. 2. "Rotation knee" - Stand up straight, feet together, bend your right knee and lift her knee podfiksiruya handsslowly start to rotate shin first clockwise, then counterclockwise. Exercise is necessary to carry out 10 - 15 timeswith each leg. 3. "Bending the knee" - Stand up straight, feet shoulder width apart, slowly squat, holding his knees, try to sit as low as possible, so that your thigh heavily weighed on the shin. Hold this position, then slowly rise. Repeat 5 to 10 times. Exercises should be performed regularly, then the effect will be more pronounced. In any case, do not performexercises to overcome in acute rheumatic - you can damage the joint!